Did the weekend go by super quick or what? 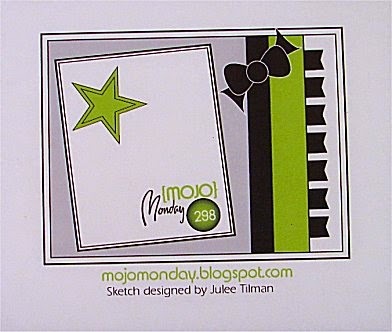 It's time for another Mojo Monday sketch challenge. I'm keeping it short & sweet today. 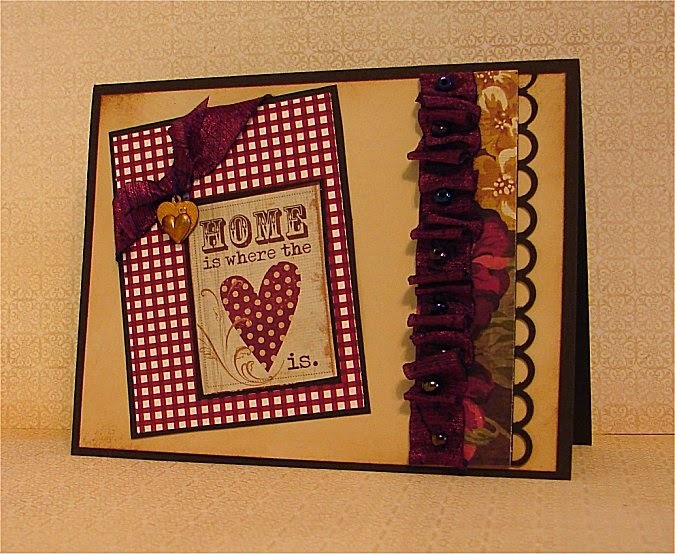 What a cute card!! I LOVE it! Beautiful DSP and I love the ruffled ribbon with the pearls! Great take on the sketch!